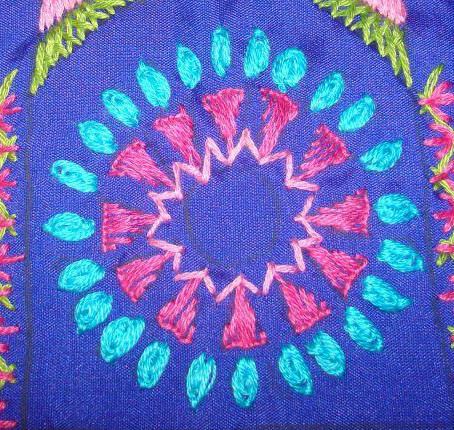 I had designed three pieces for embroidery on tunics in February when working on a long project. This is the second piece. After completing the work on this blue silk cotton fabric, the piece suited a white chanderi silk cotton tunic fabric and I found the embroidery done around the mirror was worth sharing . Buttonhole stitch variations are worked over the pattern drawn. 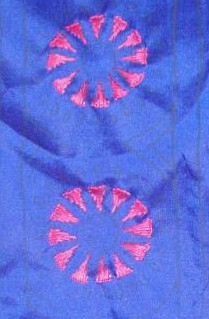 The small oval shapes were intended for detached chain stitches. I felt oyster stitch was a better choice. It so happened while working on this stitch, SharonB announced oyster stitch on this week’s TAST 2016 challenge. These oyster stitches were worked in four strands of cotton skein. The triangular space around the mirror pattern was worked in herringbone filling. 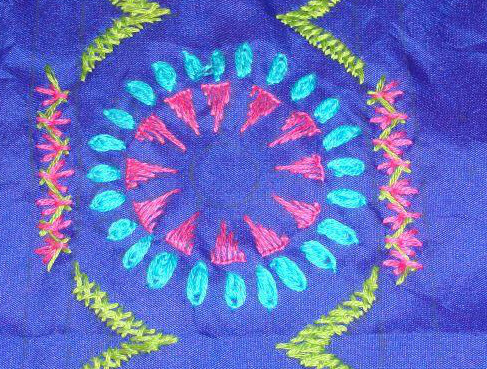 The space between the two outlines was worked in herringbone and fly stitch combination in pink and green. Zigzag back stitch was worked around the inner round. This was not part of the pattern. Long tailed chain stitches in white thread were worked in between the buttonhole stitches. this detail was also not in the pattern. The whole piece after working back stitches with white thread. 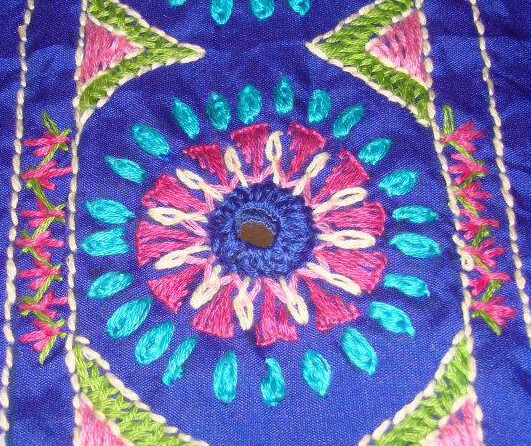 A medium size round mirror was attached to the centre with shisha stitch. 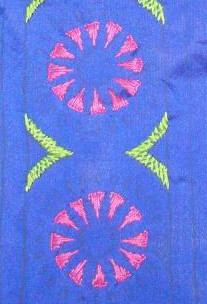 Small square mirrors were attached with shisha stitch between the two outlines. 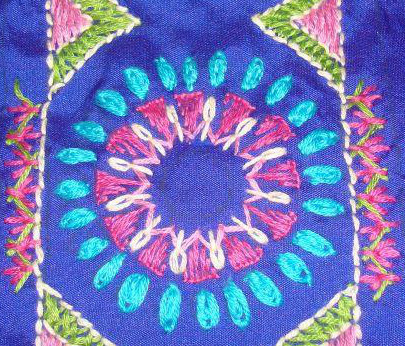 The piece with completed embroidery. This week’s chart on RPW 2016 was completed on Saturday, the day it was posted. This week’s stitch on TAST 2016 challenge is Oyster stitch, which was worked in earlier TAST challenge. The sampler was posted on facebook group page with a link. This yoke was completed with mirrors this week. The tunic for which it was intended and this yoke do not match well. So, the tunic fabric was changed to white block printed cotton fabric. it is yet to go to the tailor. The details are here. 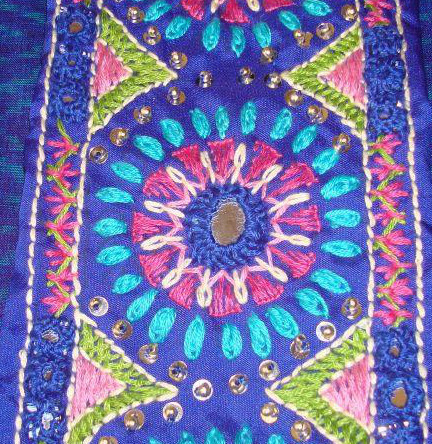 The second yoke designed along with the multi coloured kutchwork piece is for a mirror work embroidery. The work on this was started yesterday. 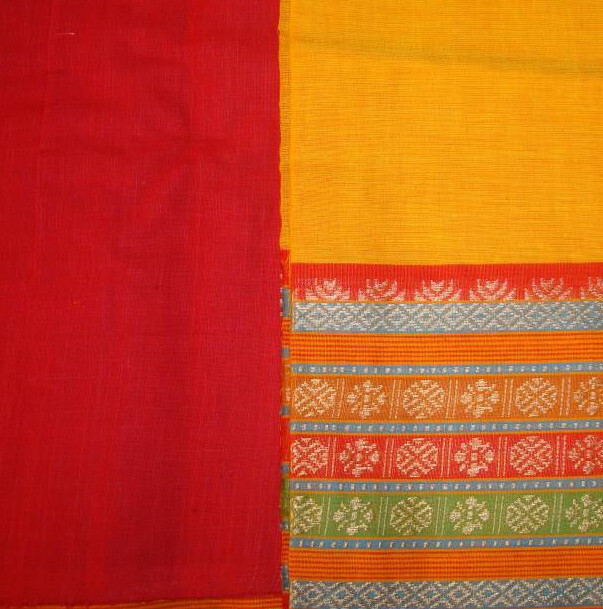 This ready to sew Khadi salwar suit set was a gift. It is with the tailor now. The embroidery designing will be done after the set is sewn. This week’s chart on RPW 2016 challenge was completed on Saturday afternoon. It took a few more samples to complete the fancy bobbin edging sampler. Last week’s stitch and this week’s stitch were worked in earlier TAST challenge. Just browsing and enjoying other member works is this week’s agenda on this challenge. While working the grey crepe tunic, three mirror yokes were designed. 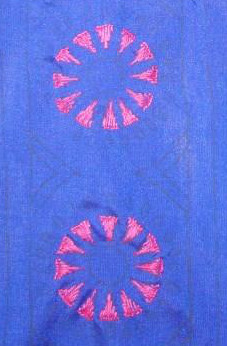 The first one is for a white and blue printed chanderi fabric. 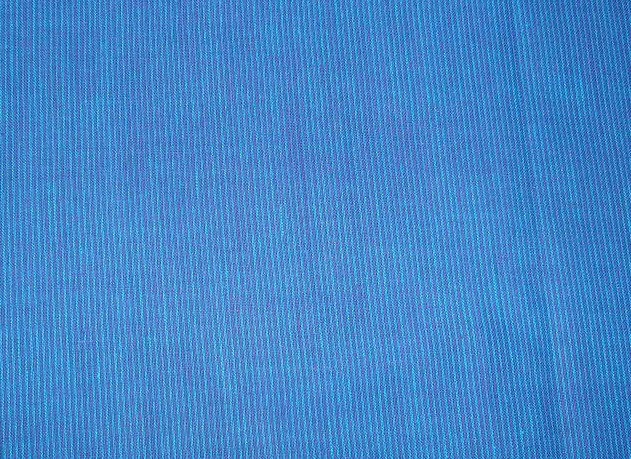 The second tunic is blue mangalagiri cotton fabric. 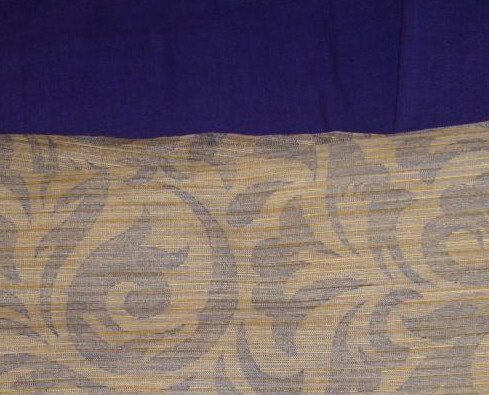 Two designs are traced on two separate fabrics chosen for these two tunics. After working the embroideries on both, selection of yokes will be made between these two tunics. The third yoke is medium sized, the work on it will commence after the completion of these two projects. After working with red colour on crepe tunic, the first yoke is multi coloured. I have just started the kutchwork motifs. After working these motifs, square mirrors will be stitched on to this yoke. The progress on these projects will be posted later.